This is the second Preseli Bluestone grid shared from Sue Lilly and Simon Lilly’s book, Preseli Bluestone: Medicine Stone of the Ancestors. 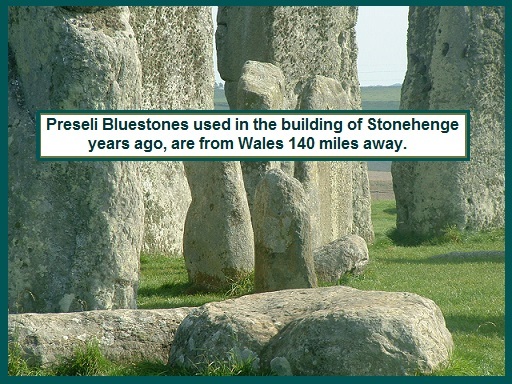 Preseli Bluestones are the stones that were used in the building of Stonehenge 5,000 years ago and are only found in the Preseli Hills in Pembrokeshire, West Wales. • Experiencing a lack of direction and or motivation. • If you are having difficulty accomplishing goals. • You have feelings of being ‘strung out’ or over stressed. • Before starting ensure stones have been cleaned under running water. • Make sure not to be disturbed. • Place the stones and yourself in position. • Start with five minutes for this first experience with this technique. • If you feel uncomfortable at any time, move out of position. Let the feeling subside. Then you may wish to resume. 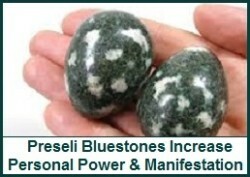 • This layout requires 5 Preseli Bluestones. • One placed on the center of the brow. • One placed in each hand. • One places on the top of each foot – secure with tape if needed. • At the end of the session, take plenty of time before returning to normal activity. • If you feel unsteady or out of focus, drink water and maybe eat something sweet.